Pete Brentano, co-owner of Brentano’s Tree Farm LLC in St. Paul, Ore., has been appointed to the 10-member Oregon Board of Agriculture. 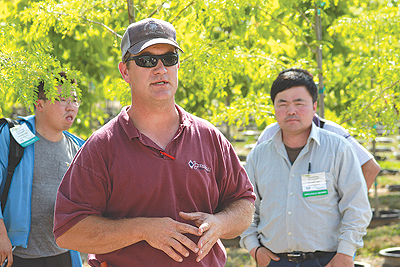 Brentano has a long record of nursery industry involvement, including serving one year as president of the Oregon Association of Nurseries in 2006. The board advises the Oregon Department of Agriculture on policy issues and development of rules. The 10-member board meets in person four times a year. Board members serve four-year terms, with a maximum of two terms. Tom Fessler, owner of Woodburn Nursery & Azaleas, recently completed eight years of service on the board, so Brentano effectively replaces him as the body’s nursery industry representative. Additional information about the State Board of Agriculture can be found at http://oregon.gov/oda/pages/boardoverview.aspx.